Going through a plan review or a plan change? Need to find the best way to organise and summarise submissions, and get the most out of the data later? Plan changes are huge jobs. Keeping track of what submitters want and breaking it down into searchable pieces is vital. 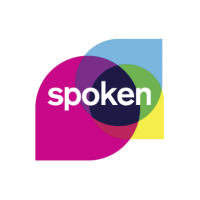 Spoken helps you manage and analyse Resource Management Act plan change submissions securely, simply and well. It was made by experienced New Zealand planners with a desire to help other planners do an amazing job. It comfortably handles small and large plan changes, and is effective with 50 submissions or more than 500. ​Spoken helps you collect, link, track, cross reference and evaluate RMA submission data so it works for you throughout your plan change. There is nothing else like it! ​Spoken is a web-based tool that can be accessed anywhere and by more than one person at a time. It walks you through data entry so you don't miss important steps. Simple filtering and reporting functions make analysing submissions a breeze. Planners can work with the data in the way that suits them best, making s42a reports easier to write. ​No matter what size your project is, it's easy to be efficient with Spoken. Multiple users? Multiple plan changes? Multiple s42a reports? ​That’s a piece of cake for Spoken. We will set Spoken up with your specific plan change details, and we're available to help you get started. Our support team are planners who are experts at plan changes.​ Maybe you need help-desk support, or maybe you need some extra professional planning support to supplement your team.